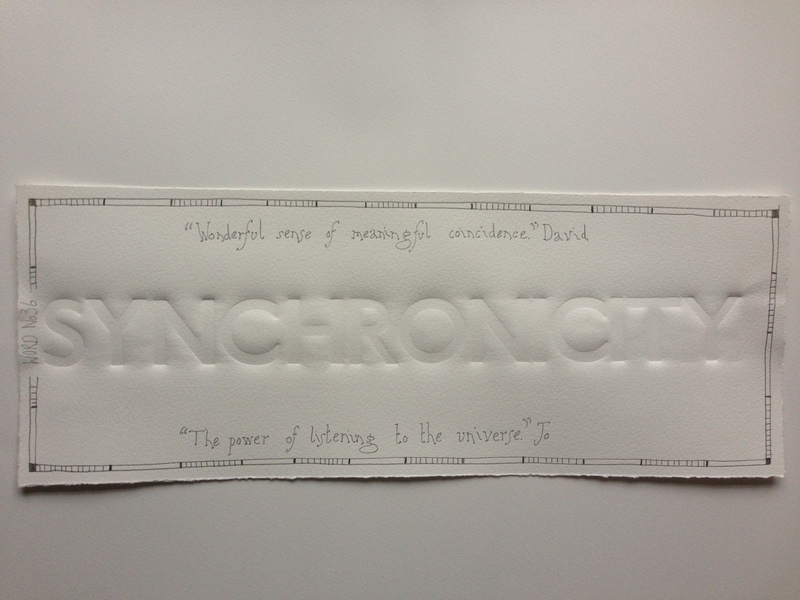 David: At times our conversation has seemed to be full of synchronicity, full of that wonderful sense of meaningful coincidence. Whether the coincidence has been you mentioning a book on the Black Dog I am reading or my word being apposite for your day, that sense of synchronicity has been one of the many joys of this project. I am a great believer in going naked for a sign, letting the universe speak to you. Sometimes this seems to create whole chains of synchronicity and today I have been pulling at those coincidental links and basking in synchronicity. Jo: I too am a great one for letting the universe speak to you, life is challenging enough without having to fight it all. I try my utmost to ‘go with the flow’, to be, as Eastern philosophies say, like water, flowing around obstacles. It was your kind offer of use of your ‘words’ that prompted this project. And it was that word ‘words’ that spoke to me at that moment. Little did I think that it would end up with me virtually every morning, sitting down and conversing words with you – that would then be shared by people across the globe! For me, it has been an incredibly positive & powerful sharing, for which I thank you; and proves the power of listening to the universe.